What’s your plan in this spooky Halloween month? Attending Halloween party? Watch horror movie? 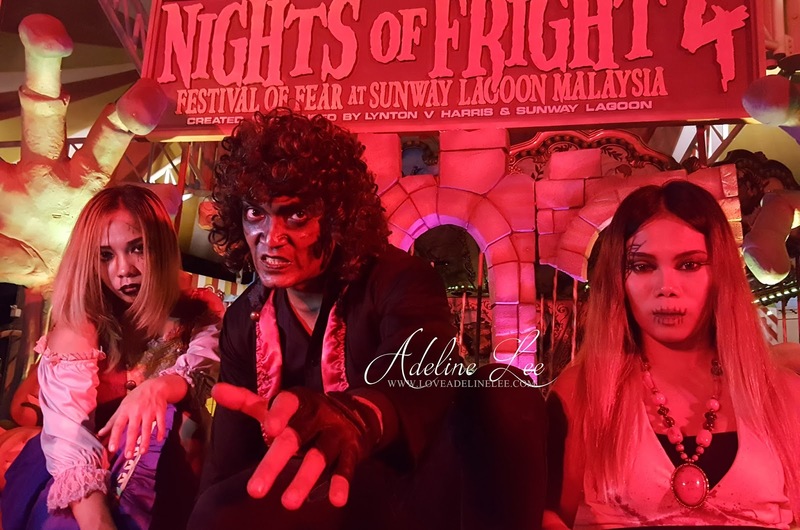 Or pay a visit to the Sunway Lagoon Night of Fright 4? In this spooky October, starting from the 7th until 31st of October, Night of Fright 4 (NOF4) will bring all the visitors to face their fears! This year, NOF will be having the best horror themes surrounding Asia, Modern Dystopian and Hollywood. 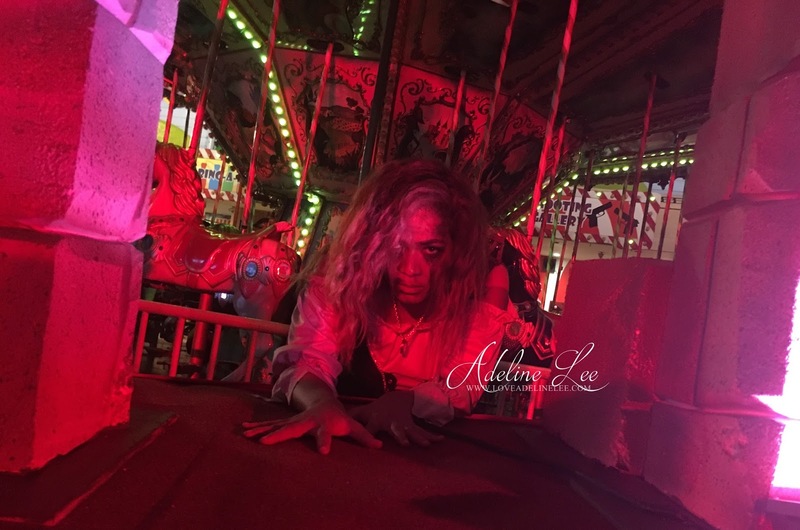 In the scary night, there will be 8 haunted houses and 6 scare zones awaiting you all. There will be a lot of the creepy creatures in Sunway Lagoon. You have to be stayed alert all the time, the ghost may just appear beside you! The Asian theme atmosphere is surrounding Sunway Lagoon. The scream start with CHAONEI NO. #81 in UV3D: Beijing’s most famous haunted house. It is a tragic concoction of love forlorn and guilt possesses a promising Opera singer during her torrid affair with the husband of the house. The must visit haunted house will be the KEVIL HILL, there is a cold evil presented at the highest scare intensity through a chilly underlying aura as this Modern Dsytopia world takes shape. Uncover a world which is a mix of cryogenically frozen zombies, brought to chilling half-life following a massive explosion in the mysterious Kevin Hill Cryonic Corporation headquarters. Besides haunted house and the scare zones, you can also enjoy 11 after-dark amusement rides. It is quite an exciting and special experience to enjoy the amusement ride in the night. You can also take photos with the creepy creatures in Sunway Lagoon, being face to face with the fears! 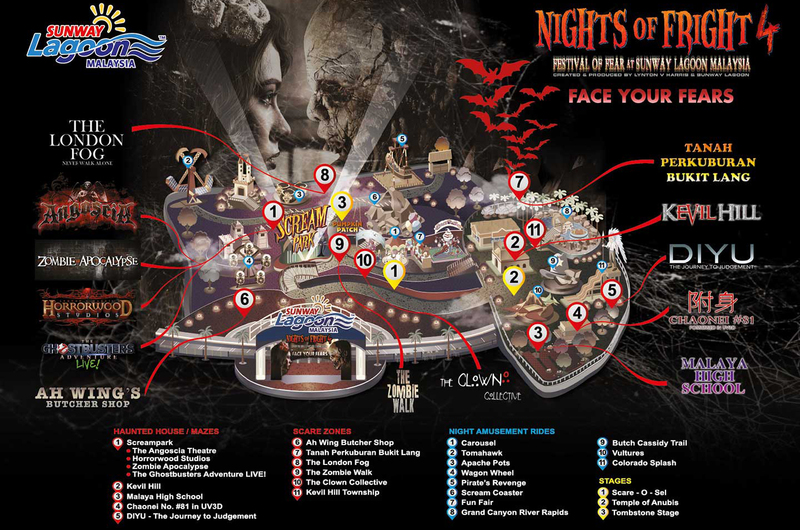 Night of Fright 4 comes to life at 7.30pm to 11.30pm every Friday to Sunday during the period of 7th to 31st October. The tickets are priced at Rm 58 (normal price) and Rm 50 (student price). There are also some exclusive promotion such as Rm 120 (inclusive of one admission Sunway Lagoon pass and one NOF4 ticke) and Rm 80 (2 tickets for entry date on Sunday). *This event is strictly for guests above 12 years old. Visitors dressed in their coolest and spookiest costumes will be most welcomed, however, no face masks are allowed during event nights.